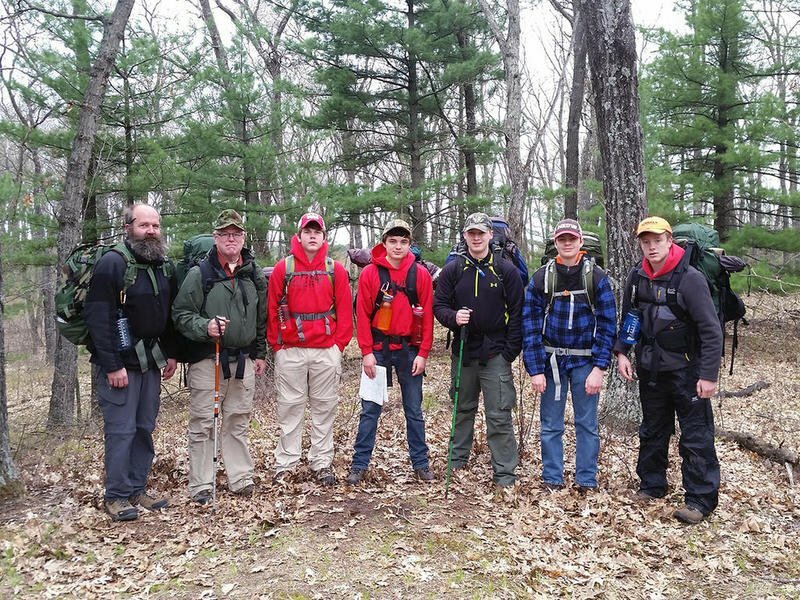 Boy Scouts from Troop 33 in DeKalb recently enjoyed a weekend backpacking trip at the Black River State Forest in Wisconsin. They hiked 18 miles through a wilderness area where they were free to choose their own campsite locations. Its low camper usage provided a great feeling of wilderness. Scouts practiced “Leave No Trace” techniques and also skills on how to avoid bear contact. Some bear tracks were noticed along the trail, but luckily no bears were encountered. Many sightings of deer and other wildlife highlighted the trip. The weather was cool with temperatures getting down to the upper 30s at night. Cloudy skies and a stiff breeze made it seem colder than it was. Thankfully expected rain never materialized. The weekend backpack trip was part of a training program that will include a second backpack trip at Kettle Moraine State Forest in late June. The key backpack program for the summer will take place in July. In a remote part of Montana Scouts will experience a high adventure backpacking trip in the Great Bear Wilderness Area. Another major part of the adventure will include hiking at Glacier National Park.